When nights become longer and the weather behind the window – chillier, people need more warmth. 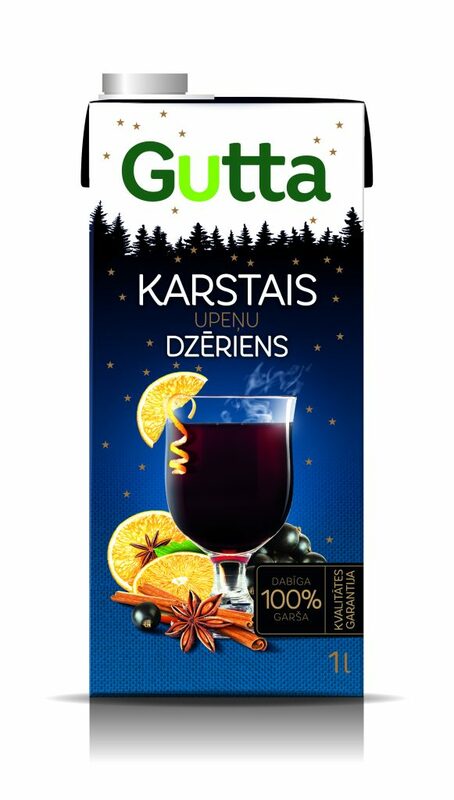 Gutta “Blackcurrant Hot Drink” will make you warm on such long autumn and winter evenings. It has a rich taste, which is ensured by 18% blackcurrant juice and a specially selected combination of spices. Cinnamon, cloves, cardamom, nutmeg, ginger and coriander contained by the drink make it an effective intensifier of festive atmosphere. The technology for making this drink is special. The spices intended for the drink are tanned and a rich and concentrated extract is obtained, which is used for making the drink. By using this method, the manufacturing process is more time-consuming; however, the result is worth it – it is the taste saturated “Blackcurrant Hot Drink”. We recommend it for the holiday table, especially together with gingerbreads.